Apprentice Sam Weatherley says a small piece of advice from trainer Danny Williams has been invaluable as he settles into Sydney racing. The young Kiwi rider partners again with the Williams-trained She Knows, his first Sydney winner, in the Australian Turf Club Sprint (1000m) at Randwick on Saturday and he’ll ride her with an air of confidence. Weatherley had, by his own admission, made a mistake on My Blue Jeans for Williams earlier in the June 23 meeting but has been boosted by the trainer’s words. “He said to ride how I would back home, to try not to feel the pressure and ride your own race, that I was a capable rider back home and to back my judgment and back myself and that helped a lot,’’ he said. She Knows scorched around the Randwick 1000m, considering the heavy track, with Punters Intel data revealing she ran 34.70 for her last 600m which was the best of the day and 0.24 quicker than anything else in the race. With Weatherley’s 2kg claim the filly rises just 1kg on that win and she holds favouritism with TAB at $4 to make it four wins from six starts at Randwick. “She’s pretty special. You wouldn’t find a horse with a better temperament or attitude,’’ he said. “Every time she goes to the races she puts in 110 per cent and tries her best. “The other day she was squeezed a bit out of the gates and that’s why she wasn’t the quickest into stride but I was always pretty confident in how she was going. 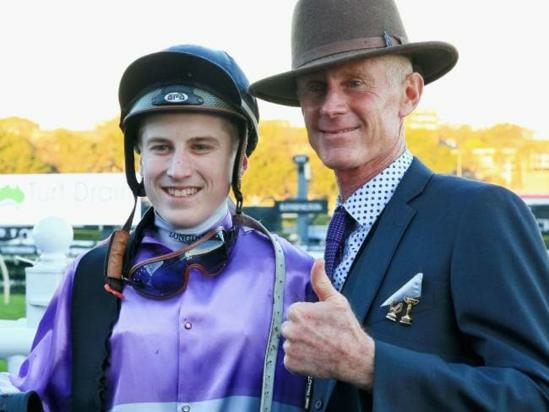 The 19-year-old rode his second Sydney at Canterbury on Wednesday for Kris Lees and his claim will come in handy on the Lees-trained Karavali in the Wallaby Cup (1800m). Karavali, a $7.50 chance, has been beaten only once in four Randwick starts and her narrow win over the mile on June 23 held more merit than it looked on paper. Punters Intel shows she ran 35.05 for her last 600m, the best by 0.44, and covered an extra 14.6m in the run. “She really attacked the line strongly that day,’’ Weratherly said.